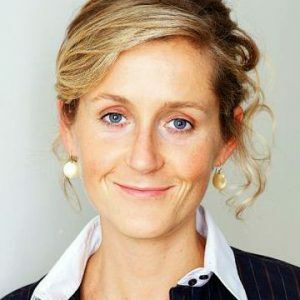 Martha Lane Fox, founder of lastminute.com, has called for the creation of a new national institution to make “Britain the most digital nation on the planet”. This would be achieved by enabling people to understand, and take full advantage of, the transformative power of the Internet. Enter “Dot Everyone” – an initiative developed by Martha that aims to establish frameworks to help navigate the online world. She argues that there are three areas that should be prioritised, and best demonstrate the opportunities available from this project: education, women and ethics. DOT EVERYONE has to help educate people from all backgrounds about the internet, and make sure no-one is left behind by lacking in digital skills. Those in power also need to understand how the internet can help redefine public services, improve the lives of the most vulnerable and bolster our economy. DOT EVERYONE must put women at the heart of the technology sector, because something that is for everyone should be built by everyone. Closing the gender gap will improve innovation, productivity and performance, and give Britain a real edge. Finally, we should aim for a much more ambitious global role in unpicking the complex moral and ethical issues that the internet presents. Click here for more information, and to sign the petition. For more information on how to book Martha Lane Fox as a speaker for your conference or client event, please get in touch with Leo von Bülow-Quirk at leo@chartwellspeakers.com or call on +44 (0) 20 7792 8000. Javier notes that information and communication technologies have become a central part of everyday life for most of the world’s population. Whilst these technologies generate enormous benefits, he argues that they are also risky, owing to the ease of accessing data and using it for criminal purposes. Cyber attacks are already vastly increasing in number, sophistication, magnitude, and impact. For more information, or to book Javier Solana as a speaker for your conference or event, please contact Leo von Bülow-Quirk at leo@chartwellspeakers.com or call 0044 (0) 20 7792 8000. It’s not too late to catch Evan Roth‘s latest exhibition – “Voices Over the Horizon” – at the Carroll / Fletcher gallery in London. It documents the Paris-based American artist’s journey to find the internet’s hidden infrastructure. 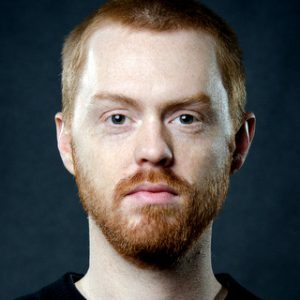 If you’re familiar with Evan’s work, you know much of it centres around the way technology has sneakily and pervasively wiggled into our lives. “Voices Over the Horizon” grapples with this same idea, only with a paranormal twist. Using ghost-hunting technologies and rituals, he ventures into the Internet’s physical landscape to reconnect with a network changed by monetisation, centralisation and surveillance. Evan will give a free talk on his current solo show at Carroll / Fletcher on April 9th. Click here to RSVP, or here for a review in WIRED magazine. For more information on how to book Evan Roth as a keynote speaker for your conference or event, please contact Leo von Bülow-Quirk at leo@chartwellspeakers.com or call 0044 (0) 20 7792 8000.